When there is a conflict between two published lists of requirements, such as Boy Scout Requirements (BSA Publication No. 33216) and a Merit Badge Pamphlet, the requirements book should be considered to be the controlling document, until a newer edition of Boy Scout Requirements is issued. Most of the Merit Badges listed below had new merit badge pamphlets issued on August 1, 2008, and have totally new or modified requirements listed in the new pamphlets. 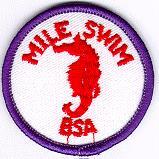 Archery MB, Mile Swim, and the Den Chief Service Award have requirements changes that first appeared in the 2009 edition of Boy Scout Requirements. In either case, the requirements below became official on January 1, 2009. Those Scouts working on any badges using the old requirements and who started before the new books were issued may complete the badge using the old requirements. Those starting work on a badge after the new books were issued, could, until December 31, 2008, use either the old or new requirements, at their option. If they used the old requirements, they may still complete the badge using the old requirements, even after January 1, 2009. Scouts starting work on any of these badges now, after January 1, 2009, should use the new requirements. The four range safety whistle commands used on a range and their related verbal commands. An NFAA field round of 14 targets and make a score of 60 points. A BSA Scout field round of 14 targets and make a score of 80 points. A FITA/NAA Olympic (outdoor) round and make a score of 80 points. d.A Junior indoor* round I and make a score of 180 points. e. A FITA/NAA indoor* round and make a score of 80 points. f. An NFAA indoor* round and make a score of 50 points. Shooting 30 arrows in five-arrow ends at an 80-centimeter (32-inch) five-color target at 10 yards and using the 10 scoring regions, make a score of 150. As a member of the NAA's Junior Olympic Development Program (JOAD), qualify as a Yeoman, Junior Bowman, and Bowman. As a member of the NFAA's Junior Division, earn a Cub or Youth 100-score Progression patch. An NFAA field round of 14 targets and make a score of 70 points. A BSA Scout field round of 14 targets and make a score of 90 points. A Junior 900 round and make a score of 200 points. A FITA/NAA Olympic (outdoor) round and make a score of 90 points. e. A FITA/NAA indoor* round I and make a score of 90 points. f. An NFAA indoor* round and make a score of 60 points. Shooting 30 arrows in five-arrow ends at an 80-centimeter (32-inch) five-color target at 10 yards and using the 10 scoring regions, make a score of 170. Discuss with your counselor the safety equipment, tools, and clothing used while checking or repairing a motor vehicle. Use this equipment, tools, and/or clothing (when needed or called for) in meeting the requirements for this merit badge. 3. Demonstrate your knowledge of general maintenance. Review the maintenance chart in the owner's manual. Explain the requirements and time limits. Check battery fluid, if possible, and the condition of battery terminals. Show the location of Locate the fuse boxes; determine and the size of fuses. Demonstrate , and demonstrate the proper replacement of burned-out fuses. d. Review the maintenance chart in the owner's manual. Explain the requirements and time limits. Demonstrate how to check the condition and tension of belts and hoses. Check the lighting in the vehicle, including instrument, warning, and exterior bulbs. Choose a car cleaner and wax product for the vehicle. Explain clear-coat paint and the precautions necessary for care. Clean and wax the vehicle, both inside and out. Use a vinyl and rubber protectant (on vinyl tops, rubber door seals, sidewalls, etc.) and explain the importance of this protectant. f. Demonstrate how to check the condition and tension of belts and hoses. Locate and check the air filter. Explain the purpose, importance, and limitations of safety belts and passive restraints. h. Demonstrate how to check the vehicle exhaust system. Find out the requirements for the state inspection in your state, including how often a vehicle needs to be inspected. Explain the importance of registering a vehicle and find out the annual registration fee for renewing your family car's registration. Explain the function of the fuel gauge, speedometer, tachometer, oil pressure, and engine temperature gauge. Point out each one on the instrument cluster. Explain the symbols that light up on the dashboard and the difference between the yellow and red symbols. Explain each of the indicators on the dashboard, using the owner's manual, if necessary. Explain the difference between tire manufacturer's and vehicle manufacturer's specifications and show where to find them. Explain the difference between tire and vehicle manufacturer's information specifications and demonstrate where to find these specifications. Demonstrate how to check pressure and properly inflate a tire. Demonstrate how to engage the jack correctly on the vehicle. Demonstrate how to change a tire correctly . Demonstrate how to check pressure and properly inflate a tire. Check the spare tire and make sure it is ready for use. Explain the difference between bias-belted tires and radial-belted tires. Diagram and explain in writing how to rotate bias-belted and radial-belted tires. Using the manufacturer's guidelines, rotate the tires on the vehicle. Explain why wheel alignment is important to the life of a tire. Explain camber, caster, and toe-in adjustments on wheel alignment. Explain the camber, caster, and toe-in adjustments on wheel alignment. Explain why wheel alignment is important to the life of a tire. Explain the purpose of the lateral-wear bar indicator. Explain how to dispose of old tires properly in accordance with local laws and regulations. Explain the purpose of motor oil. Explain how an internal combustion engine operates. Tell the differences between gasoline and diesel engines. Explain how a gasoline-electric hybrid vehicle is powered. Explain where to find the recommended type and amount of oil to be used in the vehicle engine. Explain the purpose of engine oil. Explain the API service code, the SAE number, and the viscosity rating. Explain the difference in viscosity (10W/30 versus SAE 30). Explain where to find the recommended oil type and the amount of oil to be used in the vehicle's engine. Perform an oil change and oil filter change on a vehicle. Explain how to dispose of the used oil and filter properly. Explain the need for coolant in the cooling system. Explain how to flush Flush and change the engine coolant in the vehicle according to the manufacturer's instructions., and how to properly dispose of the used coolant. Explain how to dispose of used coolant properly. Explain how the air and fuel system systems work together and why it is necessary to have an air filter and fuel filter. Explain how a carburetor works and how a fuel injection system works and how an on-board computer works with the fuel injection system. Explain how an on-board computer works with the fuel injection system. Show where the computer is located. Explain why it is necessary to have an air filter and a fuel filter. Locate them and change them according to the manufacturer's recommendations. Explain what fuel additives are. for both the carburetor and the fuel injection systems. Diagram and explain the parts of the electrical system. Explain the cylinder engine sequence. Demonstrate how to connect jumper cables on your battery properly. Explain how to jump-start a vehicle. change the spark plugs in any internal combustion engine (lawn mower, dirt bike, motorcycle). Explain the difference between electronic and point ignition systems. Demonstrate how to safely connect jumper cables to your car battery. Diagram the drive train and explain the different parts. Explain the difference between automatic and standard transmissions. Explain the types of automatic transmission fluid. Explain the types of lubricants used in a standard transmission and in the differential. Explain the difference between front-wheel, rear- wheel, and four-wheel drive. Explain the gear ratio of the differential. Explain the brake system (including anti-lock systems) and how it operates. Explain the differences between disc and drum systems. Demonstrate checking conditions on a vehicle how to check the condition of a vehicle's brake system. After checking make recommendations for repairs (if necessary). Determine the value of three different vehicles you are interested in purchasing. One must be new and one must be used; the third vehicle can be new or used. For each vehicle, find out the requirements and cost of automobile insurance to include basic liability and options for collision, comprehensive, towing, and rental car. Using the three vehicles you chose and with your merit badge counselor's assistance, complete the operation/maintenance chart provided in the merit badge pamphlet. Use this information to determine the operating cost per mile for each vehicle, and discuss what you learn with your counselor. Choose a car cleaner and wax product for a vehicle you want to clean. Explain clear-coat paint and the precautions necessary for care. Clean the vehicle, both inside and out, and wax the exterior. Use a vinyl and rubber protectant (on vinyl tops, rubber door seals, sidewalls, etc.) and explain the importance of the protectant. Locate the manufacturer's jack Use the jack to demonstrate how to engage the jack correctly on the vehicle, then change a tire correctly. Perform an oil filter and oil change on a vehicle. Explain how to properly dispose of the used oil and filter. Find out about three career opportunities in the automotive industry. Pick one and find out about the education, training, and experience required for this profession. Discuss this with your counselor, and explain why this profession might interest you. Explain and demonstrate the proper elements of a good motion picture. Discuss and demonstrate the proper elements of a good motion picture. In your discussion, include visual storytelling, rhythm, the 180-degree axis rule, camera movement, framing and composition of camera shots, and lens selection. Discuss the Cinematographer's role in the moviemaking process. Tell In a three- or four-paragraph treatment, tell the story you plan to film, making sure that the treatment conveys a visual picture. in a three- or four-paragraph treatment. How does it read on paper? Demonstrate six of the following motion picture shooting techniques. Do ONE of the following, using Using motion picture techniques,, plan ONE of the following programs. in planning a program for your troop or school. Start with a treatment, and complete the requirement by presenting the this program to the a pack or your troop, patrol, or class. Film or videotape a court of honor and show it to an audience. Create a minifeature short feature of your own design using the techniques you learn learned. Film or videotape Shoot a vignette that could be used to train a new Scout in a Scouting skill. With your parent's permission and your counselor's approval, visit Visit a film set or a television production studio and watch how production work is done. Explain to your counselor the elements of the zoom lens and three important parts. Explain the following jobs related to film or video production: director, producer, cinematographer, key grip, gaffer, best boy, assistant camera operator. Find out about three career opportunities in cinematography. Pick one and find out about the education, training, and experience required for this profession. Discuss this with your counselor. Explain why this profession might interest you. Explain the grading terms poor, good, very good, fine, very fine, extremely fine, and uncirculated Uncirculated, Extremely Fine, Very Fine, Fine, Very Good, Good, and Poor. Show five different grade examples of the same coin type. Explain the term “proof” and why it is not a grade. Tell what “encapsulated” coins are. 7. Describe the 1999-2008 50 State Quarters Program. Collect and show your counselor five different quarters you have acquired from circulation. 8. Collect from circulation a set of currently circulating U.S. coins. Include one coin of each denomination (cent, nickel, dime, quarter, half-dollar, Susan B. Anthony or Sacagawea dollar). For each coin, locate the mint marks, if any, and the designer’s initials, if any. For each year since the year of your birth, collect Collect a date set of a single type of coin since the year of your birth. Tour a U.S. Mint facility, the Bureau of Engraving and Printing facility, or a Federal Reserve bank, or a numismatic museum or exhibit, and describe what you learned to your counselor. With your parent’s permission, attend a coin show or coin club meeting, or view the Web site of the U.S. Mint or a coin dealer, and report what you learned. Explain how your collection is graded for value, physical defects, size and age. Show the various grading classifications or ratings used in your collection. List the national, state, or local association for collectors in your field of interest. responsive to your collection. Show the location of and explain to your counselor the identification number (if applicable), series, brand name (if any),and any special identification marks. 7. Discuss with your counselor the plans you have to continue with the collection in the future. 8. Discuss with your counselor the career opportunities that may be available involving your collection. 9. Discuss with your counselor why and how collecting has changed and how this applies to your collection. Find out about career opportunities in collecting. Pick one and find out the education, training, and experience required for this profession. Discuss this with your counselor, and explain why this profession might interest you. Format four TWO sheets of drawing paper (or two sheets of paper if you are completing requirement 3) with proper borders and title blocks for your projects - one for your manual project (see requirement 2) and one for your lettering project (see requirement 5). Make a rough sketch of your project drawings to determine the correct size of paper to format. Using either single-stroke vertical or slant Gothic lettering, fill in all important information in the title block sections of the formatted paper. Complete requirement 2 or 3 for your drawing projects. Prepare two of the following pencil drawings for reproduction, using two of the formatted sheets of paper and being sure to fill in the title block information. Architectural: Make a rough sketch of a room. From it, maker a finished scale floor plan. Using conventional symbols, show all openings, equipment, lights, and safety devices. Use an architectural scale size. scale drawing of an architectural project. The architectural drawing may be a floor plan, electrical, plumbing, or mechanical service plan; elevation plan; or landscaping plan. Use an architect's scale and show dimensions to communicate the actual size if features. Include any important notes and considerations necessary for construction. Mechanical: Make a scale drawing of some piece of craft work mechanical device or interesting object. Use the orthographic projection technique to show at least three views. Use dimension lines to show the actual size. The mechanical drawing may be of the orthographic or isometric style. Use an engineer's scale and show dimensions to communicate the actual size of features. Include any important notes and considerations necessary for construction. Electrical: Draw a simple schematic of a radio or electronic circuit. Properly print a bill of materials including all of the major electronic parts of the radio or electrical components used in the circuit. Use standard drawing symbols for the electronic components. Using a CAD (computer-aided drafting) system, prepare and plot one of the drawings in requirements 2a, 2b, or 2c. Create the format (border and title block) on the computer before starting the drawing. Architectural: Make a scale drawing of an architectural project. The architectural drawing may be a floor plan, electrical, plumbing, or mechanical service plan; elevation plan; or landscaping plan. Use an architect's scale and show dimensions to communicate the actual size if features. Include any important notes and considerations necessary for construction. Mechanical: Make a scale drawing of some mechanical device or interesting object. The mechanical drawing may be of the orthographic or isometric style. Use an engineer's scale and show dimensions to communicate the actual size of features. Include any important notes and considerations necessary for construction. Electrical: Draw a simple schematic of a radio or electronic circuit. Properly print a bill of materials including all of the major electrical components used in the circuit. Use standard drawing symbols for the electronic components. Using a formatted sheet of paper, prepare an isometric drawing of something not drawn in requirement 2 or 3. On the drawing, list which instruments you used. Discuss with your counselor how fulfilling requirements 2 and 3 differed from each other. Tell about the benefits derived from using CAD for requirement 3. Include in your discussion the software you used as well as other software options that are available. Lettering: Using single-stroke vertical or slant slant or vertical Gothic lettering, describe in forty words or less why CAD is used in a particular industry (aerospace, electronics, architectural, or other). Use the 8+-by-11-inch formatted sheet. (without the aid of a template or lettering guide) write a brief explanation of what you consider to be the most important benefit in using CAD in a particular industry (aerospace, electronics, manufacturing, architectural, or other). Use the experience gained in fulfilling requirements 2, 3, and 4 to support your opinion. Use the formatted sheet of paper you prepared in requirement 1 for your lettering project. Describe the three most common methods of reproducing pencil drawings. Describe one method of reproducing a computer drawing. Make copies of one of your drawings using one of these methods. Visit a facility or industry workplace where drafting is part of the business. Ask to see an example of the work that is done there, the different drafting facilities, and the tools used. Find out how much of the drafting done there is manual, and how much is done using CAD. If CAD is used, find out what software is used and how and why it was chosen. Ask about the drafting services provided. Ask who uses the designs produced and how those designs are used. Discuss how the professionals who perform drafting cooperate with other individuals in the drafting area and other areas of the business. Using resources you find on your own such as at the library and on the Internet (with your parent's permission), learn more about the drafting trade and discuss the following with your counselor. The drafting tools used in the past - why and how they were used. Explain which tools are still used today and how their use has changed with the advent of new tools. Discuss which tools are being made obsolete by newer tools in the industry. Tell what media types were used in the past and how drawings were used, stored, and reproduced. Tell how the advent of CAD has changed the media used, and discuss how these changes affect the storage or reproduction of drawings. Discuss whether the types of media have changed such that there are new uses for the drawings, or other outputs, produced by designers. Briefly discuss how new media types are used in the industry today. Find out about three career opportunities in drafting. Pick one and find out about the education, training, and experience required for this profession. Discuss this with your counselor, and explain why this profession might interest you. Make a chart that demonstrates your understanding of each of the three aspects of emergency preparedness in requirement 2a (recognition, prevention, and reaction) (prepare, respond, recover, mitigate) with regard to 10 of the situations listed below. You must use situations 1, 2, 3, 4, and 5 * below in boldface but you may choose any other five listed here for a total of 10 situations. Discuss this chart with your counselor. Meet with and teach your family how to recognize, prevent, and react to get or build a kit, make a plan, and be informed for the situations on the chart you created for requirement 2b. Complete a family plan. Then meet with your counselor and report on your family meeting, discussing discuss their responses, and share your family plan. With another person, show a good way to move transport an injured person out of a remote and/or rugged area, conserving the energy of rescuers while ensuring the well-being and protection of the injured person. Find out who is your community's disaster/emergency response coordinator management director and learn what this person does to recognize, prevent and respond to prepare, respond to, recover from, and mitigate and prevent emergency situations in your community. Discuss this information with your counselor and apply what you discover to the chart you created for requirement 2b. Select some a manufactured item in your home (such as a toy or an appliance), and under adult supervision and with the approval of your counselor, investigate how and why it works as it does. Find out what sort of engineering activities were needed to create it. Discuss with your counselor what you learned and how you got the information. Select an engineering achievement that has had a major impact on society. Use the resources available to you to research it. Tell your counselor about the engineer(s) who made it Using resources such as the Internet (with your parent's permission), books, and magazines, find out about the engineers who made this engineering feat possible, the special obstacles they had to overcome, and how this achievement has influenced the world today. Tell your counselor what you learned. Use the engineering-systems systems engineering approach to make step by step step-by-step plans for your next campout. List alternative ideas for such items as program schedule, campsites, transportation, and costs. Tell why you made the choices you did and what improvements were made. Make an original design for a piece of patrol equipment. Use the engineering-systems systems engineering approach to help you decide how it should work and look. Draw plans for it. Show the plans to your counselor, explain why you designed it the way you did, and explain how you would make it. Transforming motion. Using common materials or a construction set, make a simple model that will demonstrate transforming motion. How does this make use of Explain how the model uses basic mechanical concepts like levers and inclined planes? to demonstrate motion. Describe an example where this mechanism is used in a real product. Understanding electronics. Using an electronic device such as a mobile telephone or portable digital media player, find out how sound travels from one location to another. Explain how the device was designed for ease of use, function, and durability. c. Using materials. Do experiments to show the differences in strength and heat conductivity in wood, plastic, and metal metal, and plastic. Discuss with your counselor what you have learned. d. Converting energy. Do an experiment to show how mechanical, heat, chemical, solar, and/or electrical energy may be converted from one or more types of energy to another. Explain your results. Describe to your counselor what energy is and how energy is converted and used in your surroundings. e. Moving people. Find out the different ways people in your community get to work. Make a study of traffic flow (number of vehicles and relative speed) in both heavy and light traffic periods. Discuss with your counselor what might be improved to make it easier for people in your community to get where they need to go. f. Science fair. Building an engineering project. Build an engineering project for a science or engineering fair or similar competition, and enter it. Enter a project in a science or engineering fair or similar competition. (This requirement may be met by participation on an engineering competition project team.) Discuss with your counselor what your project demonstrates and what kind , the kinds of questions visitors to the fair asked you about it. How , and how well were you able to answer their questions. Find out what high school courses you need to take to be admitted to an engineering college. Find out what other subjects would be helpful in preparing for an engineering career. 8. Explain what it means for an engineer to be a registered Professional Engineer (P.E.). In what (PE). Name the types of engineering work for which registration is most important? 9. Study the Engineer's Code of Ethics. Explain how this it is like the Scout Oath and Scout Law. List 10 common tools found in a well-equipped farm shop and explain how to safely use each one. List ten safety devices in a well-equipped farm shop and explain the function of each. Demonstrate proper safety apparel and equipment to be worn and used when operating a grinder, wire-brush wheel, welder, or drill. Draw a plan showing a well-equipped farm shop. Point out mandatory safety devices and features in the shop. Transmission or any other power system. Replace the handle on any tool found on the farm. Build Organize a tool rack or a storage system with storage for nails, bolts, nuts, and washers. Properly grind Using a hand file, properly dress the mushroom head off of a chisel or punch. Correctly grind or file Using a hand file, properly dress a screwdriver tip. Make the necessary adjustments to ready a piece of farm equipment or machinery for field operation. Choose a piece of farm machinery or equipment. Check all nuts, bolts, and screws. Tighten any that are loose. Replace those that are missing, worn, or damaged. Repair broken or worn farm machinery or equipment. 6. Make a list of safety precautions for adjustments or repairs you make for requirement 5. On an engine-powered machine: Grease all fittings, change the oil and oil filter, clean the air cleaner filter, flush cooling system, clean the radiator fins, and replace the diesel fuel filters. 8. Visit an implement dealer. Interview the dealer, technician, or service manager for hints on good preventive maintenance. Ask why it is important, . What are the costs, and what ? What happens that causes wear or damage? Report what you learn discovered. d. Cleaning a work piece with a wire-brush wheel. Find out about three career opportunities in farm mechanics. Pick one and find out about the education, training, and experience required for this profession. Discuss this with your counselor, and explain why this profession might interest you. Minor editorial changes were made to requirements 2b, 2c, 2d, 3b, 3c, 4a, 4b, 4d, 4f, and 4h. More substantial changes were made to requirements 1, 2(introduction), 4e, and 4i. Requirement 4e used to require "an Indian story of at least 300 words, or any number of shorter ones adding up to 300 words." We believe, but have not confirmed, that the change from 300 words to 25 words shown below was a typographical error in the pamphlet, but until we get confirmation from BSA, we've shown the wording in the pamphlet. Give the history of one American Indian tribe, group or nation that lives or has lived near you. Visit it, if possible. Tell about traditional dwellings, kind way of life, tribal government, religious beliefs, family and clan relationships, language, dress clothing styles, arts and crafts, food preparation, means of getting around, how they played games, if they were warlike or peaceful customs in warfare, where descendants members of the group now live, and how they live. Do TWO of the following. Use information about Focus on a specific group or tribe to complete the requirements. Make and decorate three items approved by your counselor used by the tribe, as approved by your counselor. Make an authentic model of a dwelling used by any an Indian tribe, group, or nation. Visit a museum to see Indian artifacts. Talk about Discuss them with your counselor. Identify at least 10 artifacts by tribe or nation, their shape, size, and use. Write or briefly describe how life would have been different for the European settlers if there had been no Indians native Americans to meet them when they came to this continent. Sing two songs in an Indian language. Explain their meaning meanings. Learn in English (or the language you commonly speak at home or in the troop) an Indian story of at least 300 25 words, or any number of shorter ones adding up to 300 words. Tell the story or stories at a Scout meeting or campfire. Write or tell about eight things adopted by others from the Indian American Indians. Name five well-known American Indian leaders, either from the past or people who are alive of today. Give their tribes or nations. Describe what they did or do now that makes them notable. Learn about the Iroquois Confederacy, including how and why it was formed. Tell about its governing system, and its importance to the framers of our Constitution. Describe some of the similarities and differences between the governments of the United States and of the Six Nations (the Haudenosaunee or Iroquois Confederacy). Tell how insects are different from all other animals. Show how insects are different from centipedes and spiders. Point out and name the main parts of an insect. Collect and mount 50 different species. * Include six orders and 18 families of insects. Label each with common and scientific names, where possible. 4. Describe the characteristics that distinguish the principal families and orders of insects. Observe 20 different live species of insects in their habitat. In your observations, include at least four orders of insects. Make a scrapbook of the 20 insects you observe in 4a. Include photographs, sketches, illustrations, and articles. Label each insect with its common and scientific names, where possible. Share your scrapbook with your merit badge counselor. From your scrapbook collection, identify three species of insects helpful to humans and five species of insects harmful to humans. Describe some general methods of insect control. Compare the life histories of a butterfly and a grasshopper. Tell how they are different. Tell the things that make social insects different from solitary insects. Observe an ant colony or a beehive. Tell that you saw. Four species of insects helpful to humans. Six species of insects harmful to humans. 11. Tell how insects fit in the food chains of other insects, fish, birds, and mammals. Find out about three career opportunities in insect study. Pick one and find out about the education, training, and experience required for this profession. Discuss this with your counselor, and explain why this profession might interest you. *Some insects are endangered species and are protected by federal or state law. Every species is found only in its own special type of habitat. Be sure to check natural resources authorities in advance to be sure that you will not be collecting any species that is known to be protected or endangered, or in any habitat where collecting is prohibited. In most cases, all specimens should be returned at the location of capture after the requirement is met. Check with your merit badge counselor for those instances where the return of these specimens would not be appropriate. The merit badge pamphlets for this merit badge and for Architecture were combined into a single pamphlet. However, there were NO changes to the requirements for this badge. The merit badge pamphlet for this merit badge was revised. There were NO changes to the requirements for this badge. However, the footnote shown below, relative to alternative requirements for the Second Class and First Class rank swimming requirements was deleted. Note: Alternative requirements for the Second Class and First Class rank swimming requirements are available for Scouts with physical or mental disabilities if they meet the criteria listed on page 13 of the Boy Scout Requirements book, No. 33215. Requirements 1 and 2 were combined and rewritten. Requirement 3 was replaced with requirement 2a, and requirements 2b and 3 were added. Requirements 4, 4b, 4c, 4d, and 4g were revised. Requirements 5, 5a, 5b, 5c, 5d, 5e, and 5f were revised, and 5g was added. Requirements 6, 6a, and 6b were replaced and 6c was removed. The revised requirements are shown below. Show that you know first aid for injuries or illnesses that could occur while motorboating, including hypothermia, heatstroke, heat exhaustion, dehydration, sunburn, insect stings, tick bites, blisters, and hyperventilation. Explain first aid for injuries that could occur while motorboating, including hypothermia, heat reactions, dehydration, motion sickness, insect stings, tick bites, and blisters. Identify the conditions that must exist before performing CPR on a person, and explain how such conditions are recognized. Demonstrate proper technique for performing CPR using a training device approved by your counselor. Identify the conditions that must exist before performing CPR on a person. Explain how such conditions are recognized. Before doing requirements 3 through 6, successfully complete the BSA swimmer test. Name the different types of personal floatation devices (PFDs), and explain when each type should be use. Show how to choose and properly fit a PFD. Before doing the following requirements, successfully complete the BSA swimmer test. Jump feet first into water over your head in depth, swim 75 yards or 75 meters in a strong manner using one or more of the following strokes: sidestroke, breaststroke, trudgen, or crawl; then swim 25 yards or 25 meters using an easy, resting backstroke. The 100 yards or 100 meters must be swum continuously and include at least one sharp turn. After completing the swim, rest by floating as motionless as possible. Explain inboard, outboard, and inboard/outboard motors and the uses and advantages of each. Discuss the special features of a bass boat and a ski boat. Explain the safety procedures and precautions involving handling fuel and engine servicing, and equipment storage and placement. Explain how to winterize a boat motor and tell why this procedure is necessary. Explain the safety procedures and precautions involving swimmers and skiers in the water, passenger positions under way, and boat wakes. Explain the rules or laws affecting pleasure that apply to recreational boating in your area or state. Discuss with your counselor how the hazards of weather and heavy water conditions can affect both safety and performance in motorboating. Promise that you will live up to the Scout Boating code follow BSA Safety Afloat guidelines. Explain the meaning of each point. Explain the requirement on federal and state rules for a ventilation rules system, and state why this is needed. tell why these rules are required. Fuel and check motor before starting the boat and complete a safety check. Start motor and get Get under way from a dock dockside or from a beach launch . Run a straight course for a quarter mile. Make right-angle turns to left or right. Make a U-turn at least a mile, showing procedures for overtaking and passing slower craft, yielding right-of-way, passing oncoming traffic, making turns, reversing direction, and using navigation aids. Stop an secure the boat in position on the open water using anchors; get . Drop anchor. Raise it. Get under way. Come alongside a dock. Tie up or beach. Land or dock; get out and assist others. Moor the boat and secure all gear. Point out and explain the mechanical and safety features of a boat trailer. Tie up or take boat from water. Launch a boat from a trailer. Remove a boat from the water using a trailer. Prepare motor for the winter. Show that you can recognize the poisonous venomous snakes in your area. Explain the differences between oil-based paints, Acrylic-based paints, and water-based paints. Prepare and paint two different surfaces using patching material, caulking, and the proper primers and topcoats. Suggested projects include an interior or exterior wall, a door, a piece of furniture, a concrete wall or floor , a porch rail, or a fence. Your counselor must preapprove the projects. Prepare and paint an item using harmonizing colors that you have created by tinting white base paint. (Use the color wheel in the center of this book.) selected using the color wheel in the Painting merit badge pamphlet. Discuss with your counselor the various career opportunities associated with the painting trade. Find out about career opportunities in the paint industry. Discuss the training and experience required, and explain why this profession might interest you. Explain how radio waves carry information. Include in your explanation: transceiver, transmitter, receiver, amplifier, and antenna. The differences between broadcast radio and hobby radio. The differences between broadcasting and two-way communications. The phonetic alphabet and how it is used to communicate clearly. Sketch a diagram showing how radio waves travel locally and around the world. How do the broadcast radio stations, WWV and WWVH, help determine what you will hear when you listen to a radio? Sketch a diagram showing how radio waves travel locally and around the world. Explain how the broadcast radio stations, WWV and WWVH can be used to help determine what you will hear when you listen to a shortwave radio? Explain the difference between a DX and a local station. Discuss what the Federal Communication Commission (FCC) does and how it is different from the International Telecommunication Union. Draw a chart of the electromagnetic spectrum covering 100 kilohertz (kHz) to 1000 megahertz (MHz). Label the LF, MF, HF, VHF, UHF, and microwave portions of the spectrum on your diagram. Locate on your chart at least eight radio services such as AM and FM commercial broadcast, citizens band (CB), television, amateur radio (at least four ham amateur radio bands), and public service (police and fire). Discuss why some radio stations are called DX and others are called local. Explain who the FCC and ITU are. Explain how radio waves carry information. Include in your explanation: transceiver, transmitter, amplifier, and antenna. Explain the differences between a block diagram and a schematic diagram. Draw a block diagram for a radio station that includes a transceiver, amplifier, microphone, antenna, and feed line. Explain the differences between an open circuit a closed circuit, and a short circuit. Draw eight schematic symbols. Explain what three of the represented parts do. Find three electrical components to match to three of these symbols. Explain the safety precautions for working with radio gear, including the concept of grounding for direct current circuits, power outlets, and antenna systems. Draw a block diagram that includes a transceiver, amplifier, microphone, antenna, and feedline. Explain the differences between an open circuit, a closed circuit, and a short circuit. Visit a radio installation (an amateur radio station, broadcast station, or public communications center, for example) approved in advance by your counselor. Discuss what types of equipment you saw in use, how it was used, what types of licenses are required to operate and maintain the equipment, and the purpose of the station. Find out about three career opportunities in radio. Pick one and find out the education, training, and experience required for this profession. Discuss this with your counselor, and explain why this profession might interest you. Tell why the FCC has an amateur radio service. Describe some of the activities that amateur radio operators can do on the air, once they have earned an amateur radio license. Using proper call signs, Q signals, and abbreviations, carry Carry on a 10 minute real or simulated radio contact using voice, or Morse Code, or digital mode ; use proper call signs, Q signals, and abbreviations. (Licensed ham amateur radio operators may substitute five QSL cards as evidence of contacts with amateur radio operators from at least three different call districts.) Properly log the real or simulated ham radio contact and record the signal report. Explain at least five Q signals or amateur radio terms you hear while listening. Explain some of the differences between the Technician, General, and Extra Class license requirements and privileges. Explain who gives administers amateur radio exams. Explain how you would make an emergency call on voice or Morse code. Tell why the FCC has an amateur radio service. Explain the differences between handheld transceivers versus and home "base" stations transceivers. Explain about the uses of mobile amateur radios radio transceivers and amateur radio repeaters. Prepare a program schedule for radio station "KBSA" of exactly one-half hour, including music, news, commercials, and proper station identification. Record your program on audio tape audiotape or in a digital audio format using proper techniques. Listen to and properly log 15 broadcast stations; determine for five of these their transmitting power and general areas served. Determine the program format and target audience for five of these stations. Explain at least eight terms used in commercial broadcasting, such as segue, cut, and fade, continuity, remote, Emergency Alert System, network, cue, dead air, PSA, and playlist.. Discuss the educational and licensing requirements and career opportunities in broadcast radio. Listen across several shortwave bands for two 4-hour four one-hour periods, one in the early morning and the other in the early evening - at least one period during daylight hours and at least one period at night. Log the stations properly and locate them geographically on a globe. For several major foreign stations (BBC in Great Britain or HCJB in Ecuador, for example), list several frequency bands used by each. Compare your morning and evening daytime and nighttime logs , noting ; note the frequencies on which your major foreign selected stations were loudest during each session. Explain the differences in the signal strength from one period to the next. Discuss the purpose of and careers in short-wave communications. 8. Visit a radio installation approved in advance by your counselor (ham radio station, broadcast station, or public service communications center, for example). Discuss what types of equipment you saw in use, how it was used, what types of license are required to operate and maintain the equipment, and the purpose of the station. Minor changes were made to requirements 1, 3, 4, 8a3, 9, and 10d. The changes were as shown below:. Show that you know first aid for injuries or illnesses Discuss the prevention and treatment for health concerns that could occur while swimming, including hypothermia, dehydration, heat reactions, sunburn, heat exhaustion, heatstroke, muscle cramps, hyperventilation, spinal injury, stings and bites, and cuts and scrapes , spinal injuries, and hyperventilation. Demonstrate survival skills by leaping jumping feetfirst into deep water wearing clothes (shoes, socks, swim trunks, long pants, belt, and long-sleeved shirt). Remove shoes and socks, remove and inflate the shirt, and show that you can float using the shirt for support. Remove and inflate the pants for support. Swim 50 feet using the inflated pants for support, then show how to reinflate the pants while using them for support still afloat. Describe the sport of scuba diving or snorkeling, and demonstrate your knowledge of BSA policies and procedures relating to this that sport. Following the guidelines set in the BSA Safe Swim Defense, in In water at least 8 7 feet deep, show a standing headfirst dive (kneeling start, bent-knee start, or standing dive) from a dock or pool deck. Show a long shallow dive, also from the dock or pool deck. If a low board (not to exceed 40 inches above water at least 9 feet deep) is available, show a plain front dive. Discuss with your counselor the incentives and obstacles for adherence to staying with the fitness program you created in requirement 10c. Explain the unique benefits that could be gained from this program, and discuss how personal health awareness and self discipline would relate to your own willingness and ability to pursue such a program. Know the importance of the monthly theme. 11. Meet as needed with the adult members of the den, pack or troop , team, or crew. Advance one Boy Scout rank. Recommend to your Scoutmaster, Varsity Scout Coach, or Venturing Adviser another Boy Scout ,Varsity Scout, or Venturer to be a den chief. Swim 1 mile (1,600 meters) over an approved, a measured course that has been approved by the trained instructor who will supervise the swim.